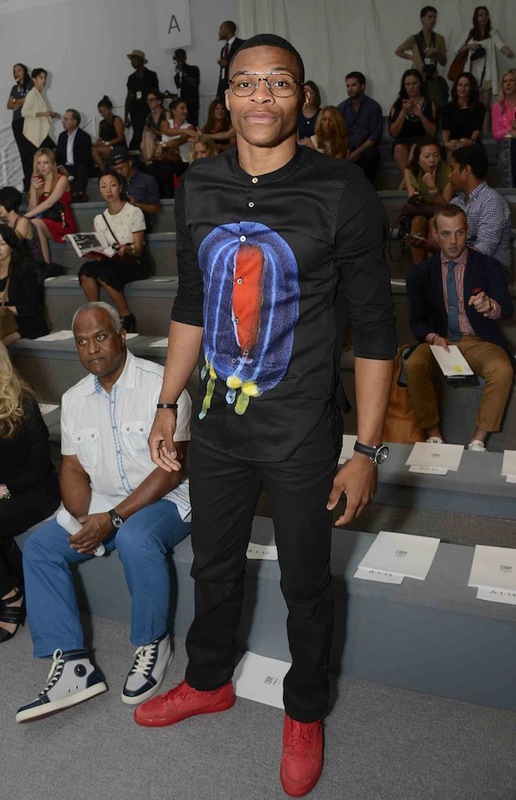 HotelFashionLand | The NBA applies Full Court Pressure to NYC Fashion Week! “Sometimes, the N.B.A. 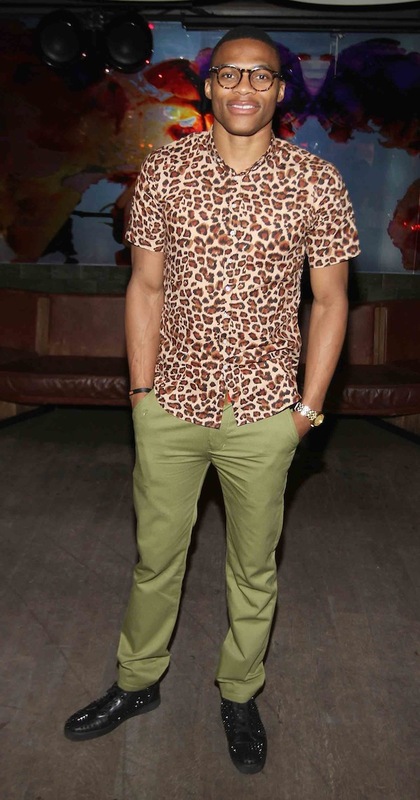 feels like fashion week,” he said of his stylish basketball cohorts to the NYT. 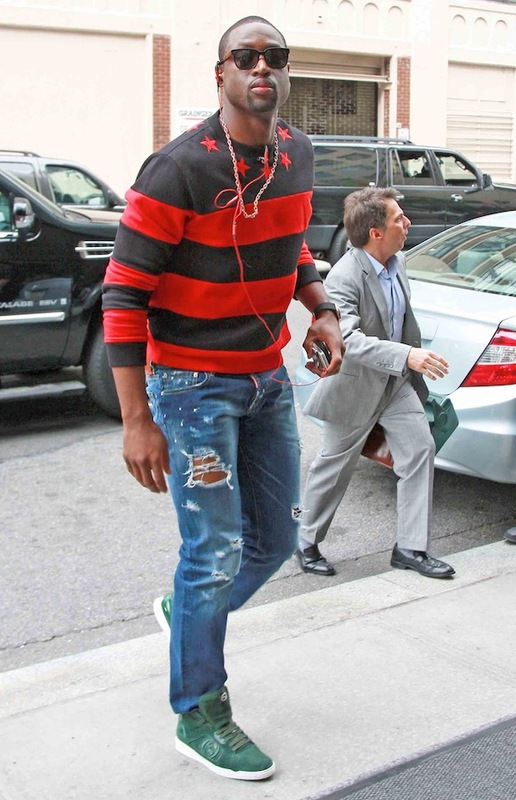 Dwayne Wade arriving at his NYC hotel in a Freddy Krueger-esque sweater. 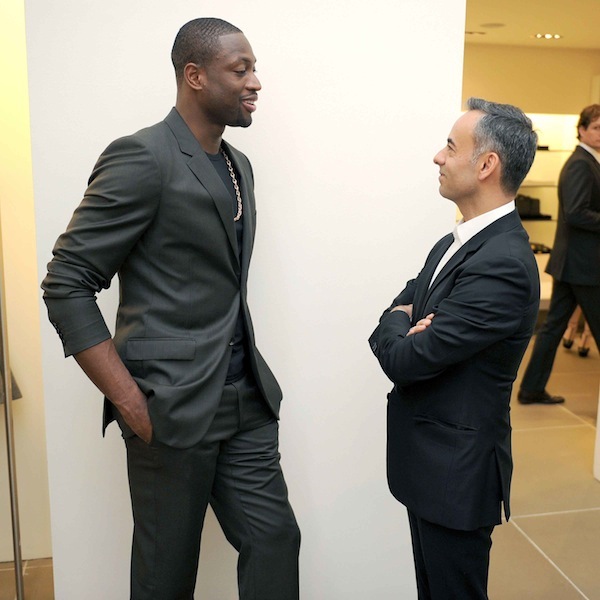 Dwayne Wade, Francisco Costa -Celebrate FASHION’S NIGHT OUT held at Calvin Klein Collection. Boston Celtics guard Rajon Rondo appears at Nordstrom’s Treasure & Bond Store. 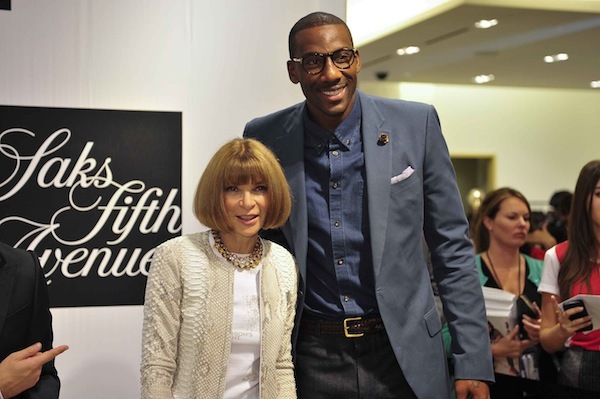 Editor-in-chief Anna Wintour appears with Amar’e Stoudemire for Fashion’s Night Out at Saks Fifth Avenue. 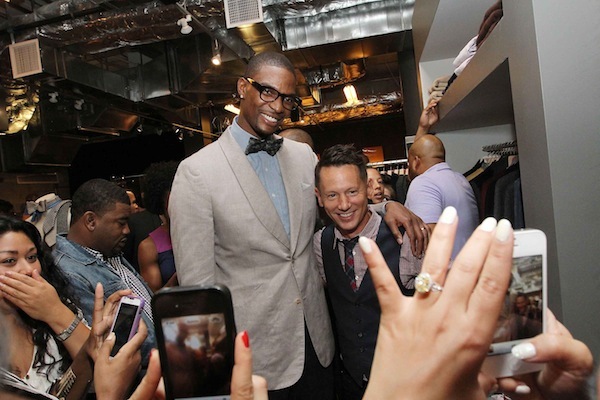 Chris Bosh (L) and GQ editor-in-chief Jim Nelson attend GQ & Nordstrom Launch Pop-Up Store On Fashion’s Night Out at Nordstrom’s Treasure & Bond Store. 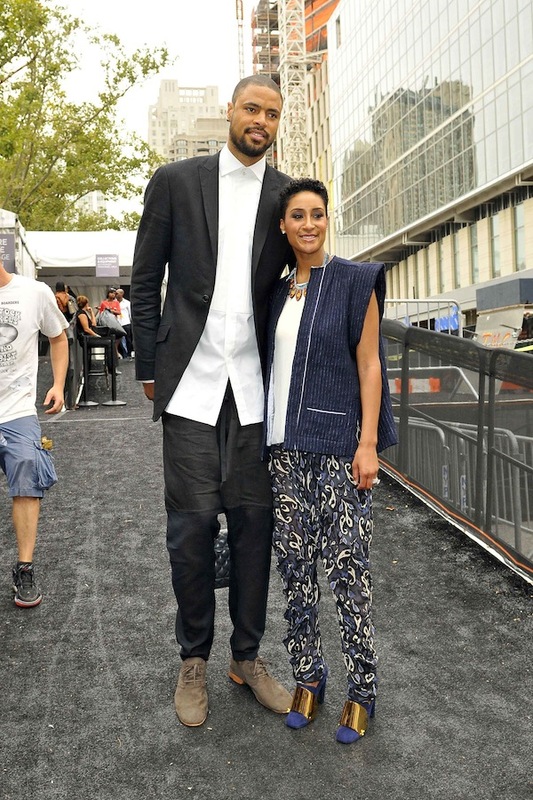 Tyson Chandler, current center for the New York Knicks, and his wife Kimberly head to an event for New York City fashion week. Kimberly Chandler has begun to pop up on the fashion radar, after a personal fitting with Vogue’s Anna Wintour back in May. This entry was posted on Saturday, September 8th, 2012 at 6:09 am. You can follow any responses to this entry through the RSS 2.0 feed. Both comments and pings are currently closed.